Our friends on the Gold Coast are pretty darn lucky. With its glorious weather, pristine beaches and creeks, lush hinterland and thriving dining scene, the coast is often the envy of us Brisbane dwellers – which means we’re often dreaming of a southern seaside getaway. The best way is to do it like a local, so our pals at The Weekend Edition Gold Coast have mapped out the best way to spend 48 hours on the Gold Coast. Ease into the weekend and keep it casual with pizza and wine. Settle in for a few slices and let the sangiovese flow at Goccia Italian in Mermaid followed by a stroll to nearby gelateria Heven-yah for a ricotta and strawberry jam gelato or a sour-cherry granita – the perfect situation for some Friday night fun. Prefer to stick to the north? Opt for wine bar and pizzeria Jafa in Southport. No Friday night is complete without a cheeky tipple – and a hidden bar is the best way to do it. Lockwood, nestled in a Burleigh alleyway (behind Justin’s Lane – just look for the red door), is great for a quiet nightcap, and there’s also the back bar of Japanese restaurant Iku in the same alleyway if you’re the whisky-and-late-night-katsu-sando type. If you’ve only got 48 hours on the Gold Coast, you need to make the most of it! Catching the sunrise over the beach is truly the best way to start the day. While there are pathways that run along the much of the coastline, the Burleigh Headland track is a go-to option for locals and visitors. Start right at the top of the point and watch the surfers in action before setting off around the undulating track. Pack your swimmers and end your walk over the other side of the headland at Tallebudgera Creek – grab some coffees (and a cheeky almond croissant) from Neptune Kiosk and go for a morning dip. Heaven. That early morning walk will leave you famished. Once you leave Talle Creek head straight to Highline in Palm Beach, or if you’re venturing back to the central Gold Coast, then hit up Elk Espresso in Broadbeach. For those a little further north, try The Cardamom Pod at The Brickworks in Southport. After spending the morning by the coast, it’s time to discover the hinterland. Go for a scenic drive along Currumbin Creek Road and follow it right to the end (near Camp Eden) where you’ll find the start of the Mount Cougal walking track, which is actually part of Springbrook National Park. It’s a chilled walking track that ends at the Cougal Cascades – walk a little further up and you’ll see the abandoned saw mill, too. You can totally dip in the rock pools here, just make sure you check out the safety signs. Detour up Tomewin Road on the way back to check out the views from Freeman’s Organic Farm – be sure to give Farmer Dave a high five while you’re there. 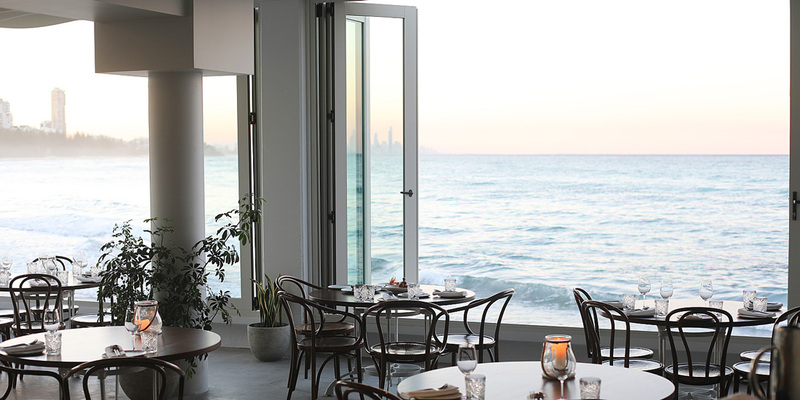 With arguably the best beach views in town, you can’t go past a sun-kissed lunch at Burleigh Pavilion. Settle in for a long feast at The Tropic restaurant, or opt for beers and burgers at the more-casual The Terrace. If you prefer sipping cocktails at sea level, award-winning Pan-Asian restaurant Rick Shores sits directly below. The live-music scene on the coast is worth checking out over a cheeky afternoon beer. You’ll find local acts hitting the stage Currumbin’s Soundlounge, while popular breweries like Balter Brewing or Burleigh Brewing host live up-and-coming local musicians on Saturday afternoons. Best to plan ahead if you’ve only got two days on the Gold Coast – you can check our Event Guide for who’s playing where. Here’s your chance to sample (or show off if you’re hosting) the best of the coast’s dining scene. Book a table at must-try spots like ex-Sydney chef Alex Munoz Labart’s popular Restaurant Labart in Burleigh, bustling izakaya Etsu, neighbourhood bistro Lupo or dining gem The North Room. Can’t decide? Go for pre-drinks at one, then dinner at the other. A true gem of the Gold Coast skyline is The Darling hotel. Walk through The Star Gold Coast’s gaming floor and head up the gold-trimmed elevator to level 19 for dessert or post-dinner tipples at fine-dining space and lounge bar Nineteen at The Star. This is the ideal spot to soak up the bright lights and some of the best city views you’ll find. Time to get active, but not too active – it’s Sunday after all. Stand-up paddle boarding (SUP) is a must-do activity when you’re on the coast, even if you only have two days. Head down to Currumbin Creek and hire boards from The Boatshed – the crew there will show you the ropes if you need, just prepare to get a little bit wet. If you’re en route from the north, grab a coffee from Miami’s Quade & Co on the way down, or if you’re coming up from the south, stop in at popular Currumbin caffeine nook Portside Coffee. Oh how we love a good Sunday breakfast. 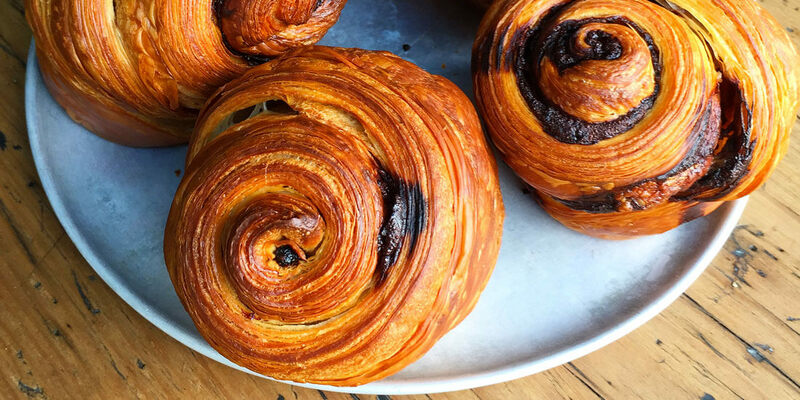 Head to straight to Bam Bam Bakehouse for the popular Croissant Eggs Benny, a blue mermaid latte, an indulgent treat or three from the pastry cabinet and some quality Instagram content. Time for a spectacular end to your 48 hours on the Gold Coast. There’s more to the Gold Coast than meets the eye – the best way to see what we mean is to take a short-yet-scenic drive up Springbrook (the main road up is open again after being closed for quite a while, hurrah!). Cruise up to the very top and follow the signs to Best of All Lookout – park the car and take a short stroll along the track. The name speaks for itself – this is one of the best views of the real Gold Coast. It’s also the perfect farewell spot if you’ve been playing host for the past two days – and will certainly make your friends even more envious that you get to call this place home.